Delray Beach Water Heater Repair - Water Heater, Inc.
solarWater Heater.com Inc. are experts in the business of repairing and installing water heaters for the residents of Delray Beach. Our team is licensed and trained in all aspects of water heater maintenance. The water heater is one of the most important home appliances to maintain. Something as simple as hot water is often taken for granted. Hot water heaters if not maintained are prone to a number of problems. Our water heater repair professionals in Delray Beach understand that people take this important home appliance for granted once they are installed. That is until a plumbing emergency happens while you’re in the shower or tub. The projected average life of a home water heater is about 10 years, yet we know from experience that water heaters don’t last that long. Today’s water heaters have advanced a long way in the last ten years. The newest water heaters are exceptionally efficient and can have a much longer life span. 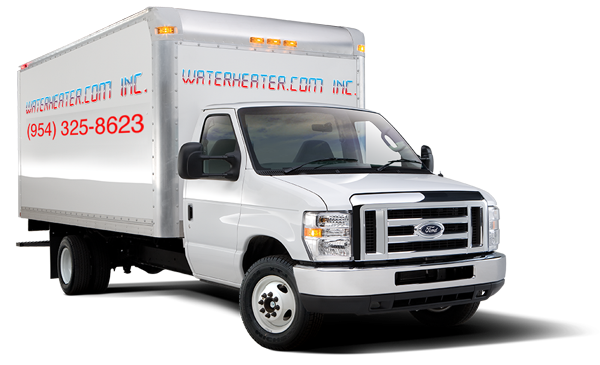 Water Heater.com Inc. is the premier water heater repair service for Delray Beach, FL. We have installed and replaced all types of water heaters including electric, gas, solar and hybrid units. We service and install all of the industry’s top makes and models. At Water Heater.com Inc. we put our customers first. We pride ourselves on our dedication to customer satisfaction. One of our skilled technicians will visit your home and take care of your water heater issues with expert care. After the estimate is made, we can get started right away.